With the emergence of online music tools and production services, the artists are now easily able to record and edit with the help of their web browsers itself. This has given the artists a lot of exciting options and possibilities to make music online free. What does a Cloud Based Music Studio Need? A cloud based music studio essentially needs a good broadband connectivity as well as the devices that can use cloud based OS. The apps provide the base which helps in creating the music online. How Does a Cloud Based Music Studio Work? In the Cloud Based Studio, all tracks, presets and samples are stored on to the Audiotool server. Hence they can be accessed from any browser. You can publish the completed track directly from the app to either the Audiotool site, the SoundCloud, the Facebook or to Youtube and make music online free. You can remix tracks of other artists by collaborating with them on their tracks and also promoting your tracks on their platforms. What are the Advantages of a Cloud Based Music Studio? There are many advantages of a Cloud Based Music Studio as it not only helps in making music easy but also saves a lot of money! Let us take a look at some of other benefits of a Cloud Based Music Studio. 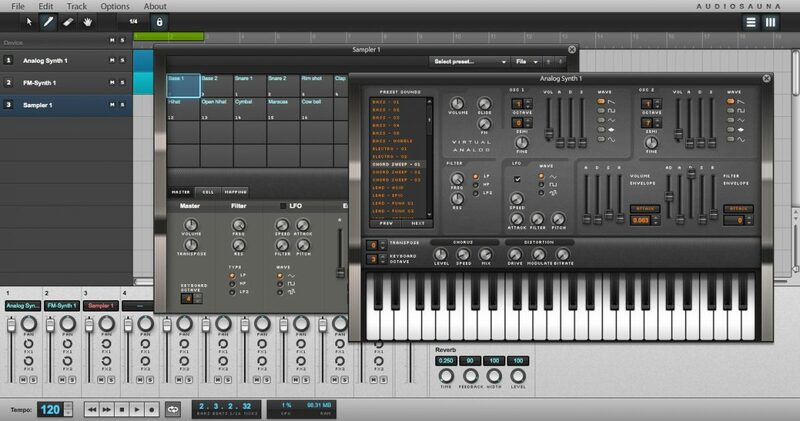 Online DAW and other sequencers offer options to sign up for free along with other user friendly features for the amateurs to try the recording, synthesizing and mixing. This should be easy for today’s generation who is well-versed with using web interfaces. There has been a constant need for musicians to work with other musicians and singers from other cities or countries. Lately many music companies have built production services around cloud based music studio thus helping artists from across the globe to connect and record. This system also helps in tracking each artist’s contributions. As the DAW (Digital Audio Workstation) is not attached to a specific machine, it can be very interesting when the artists and bands are on the move. The embedded widget available for the social media and other websites will instantly stream your new tracks to all of your friends. Can Cloud really replace music production software? Though some artists and producers may not seem 100% convinced with the idea of using cloud based music, online DAW and sequencers are clearly the future. The music industry is evolving continuously and it will not remain the same forever since the technology is constantly changing and so will be the music recording methods. With better technology and connectivity, online music will soon become a more stable and accessible platform where we will be able to make music online free. Author Bio: Richard Dickens is a freelance drummer who works with a band called Electric Litany. He lives in London and has been using cloud based music studio to make music online free. 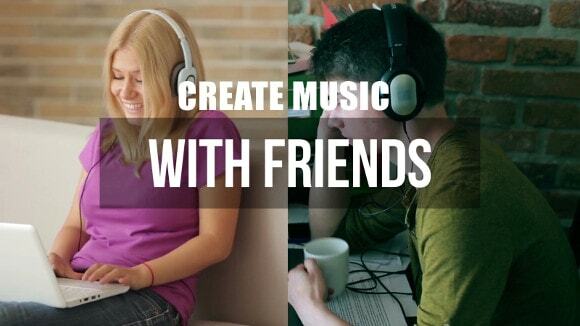 Previous Previous post: How can online music applications with social sharing capabilities help growing musicians? Six Steps to Push Your Music Online | SnapJam Blog on What are the biggest challenges faced by an independent musician? Six Steps to Push Your Music Online | SnapJam Blog on How can online music applications with social sharing capabilities help growing musicians? SnapJam™ has all the sophistication you'll need in an online music making application. We have fought so hard to come up with a platform where music fans and lovers can easily record and tailor their songs without any hassles. In a nutshell, using SnapJam™ is using the easiest software on the planet to create songs and do high quality music recording in real time collaboration with your friends. © SnapJam 2017. All rights reserved. SnapJam™ is the easiest software on the planet to create songs, do high-quality music recording, and collaborate in real time with your friends!